Climate Capsules are 2 – 3 minute educational broadcast snippets that offer information on climate science and climate change trends, plus tips on what we can do go address the problem. 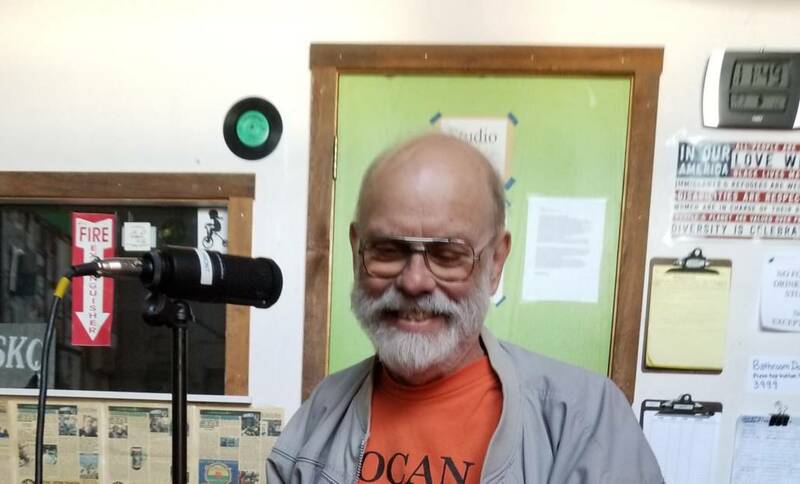 They are produced in the studio of and broadcast on KSKQ, a non-commercial educational community FM radio station licensed by the United States Federal Communications Commission in Ashland, Oregon with plans for syndication around the region. KSKQ Broadcasts on 89.5 FM Ashland and 94.1 FM Medford and the region. The SOCAN Climate Capsules are written and narrated by SOCAN co-facilitator Alan Journet. CC 2018 11 – The Clean Fossil Fuel The myth of fossil (natural) gas as a clean fossil fuel. CC 2018 25 – The new normal (climate) The warming trends has continued for decades; for most humans it’s the norm. CC 2018 27 – Natural Disasters How natural are ‘natural’ disaster? CC 2018 41 – Forests I Where’s the carbon Carbon storage in our forests is critical, but where is it? CC 2018 46 – Millions of Choices Individual action is necessary. CC 2018 53 – Geoengineering The term ‘geoengineering’ is used and abused. CC 2018 55 – A boon to agriculture Can increased carbon dioxide enhance agricultural production? CC 2018 57 – Voices of the Valley Giving local folks a voice, this video production offers commentaries from several local reaidents on how global warming / climate change influences them. CC 2018 60 – Master Climate Protector SOCAN’s 2019 Master Climate Protector course is open for registration.